This necklace was created by Lily Emmaline to symbolize the meaning of “The Ripple Effect of giving”, to remind us that helping and giving to those in need of clean water is a wonderful and life changing choice to the receiver – and to the giver. LilyEmmaline.com will give a portion of all sales of each “Ripple Effect” necklace to help fund the lilyemmaline.com campaign at “charity: water” and bring clean water to those in need! 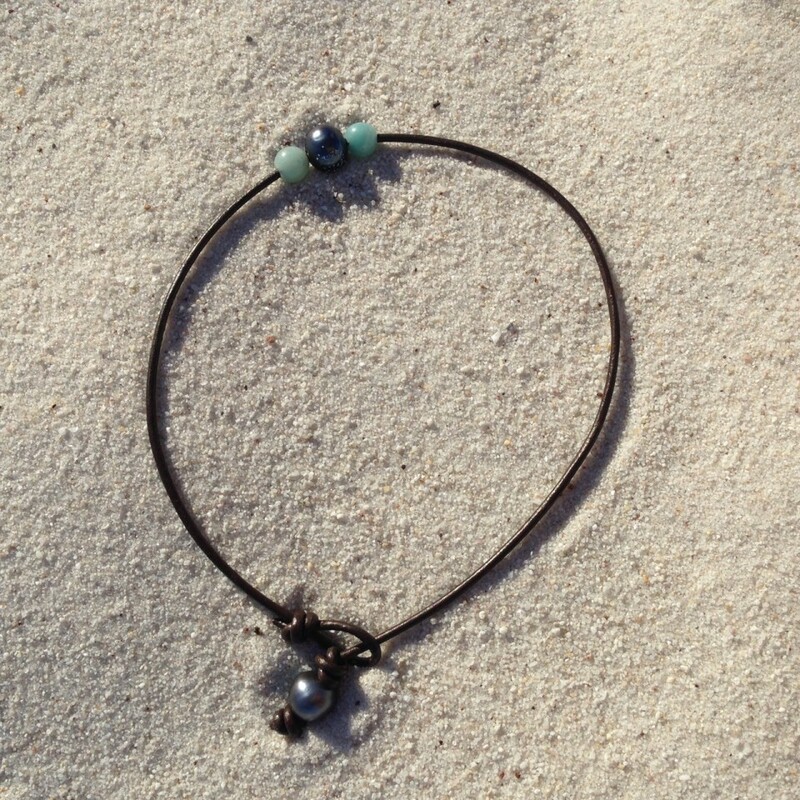 Genuine natural leather cording, hand-strung through two Amazonite beads and two black pearls (one is on the back the the necklace). Finished off with a sterling silver Lily Emmaline tag.